It's no secret that technology has changed the game for industries across the world. Platforms and software are constantly changing the market for the better. From improving operational efficiencies to inspiring more accountability within business processes, the advancements are plentiful. The Australian food industry is no exception. Technology has provided the optimal framework for the continued growth of exports, imports, production and manufacturing throughout the country. Beyond growth, digital advancements have made way for a new level of transparency in the food and beverage sector. Internal processes are in the spotlight more than ever as consumers demand to know where their food comes from and whether the conditions are ethical. The highly connected nature of today's world means increased levels of accountability for the modern food company. For better or worse, the window to company policies and procedures is wide open for consumers. And they are demanding changes to commonly accepted practices. The recently announced food label reforms are a great example. Consumers demanded more information about the origin on their foods and their cries were met with policies. The new legislation will require food suppliers to label their items with a kangaroo logo to indicate the product was made in Australia. The new labels will also include bar charts to indicate how much of the product includes Australia-based ingredients based off weight percentages. According to Business Insider, consumer advocacy groups such as Choice are pleased by the policies and are hopeful this trend toward transparency will continue. 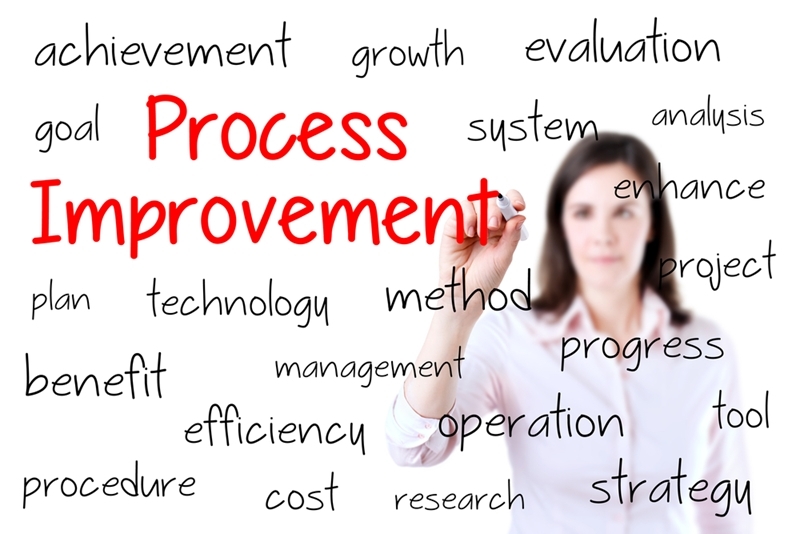 Technology has led to more accountability for business processes. "The new food labelling system will provide Australian consumers with the clarity they deserve, without imposing an overly onerous burden on businesses," explained Minister for Industry, Innovation and Science Christopher Pyne. The takeaway here is that technology has not only encouraged food manufacturers and suppliers across Australia to become more accountable to consumers but has enabled the means to do so. For food suppliers' and manufacturers' spoiled food presents a considerable problem. Transportation, expiration labelling and tracking all play roles in this dilemma. While spoiled food will likely always result in some level of lost revenue for food companies, technology has created some innovative solutions to this problem. According to IoT Hub, there are now sensors that exist to warn suppliers when products have been exposed to varying temperatures. The sensors change colour to indicate how long and what temperature the food was subjected to in transport. This enables food manufacturers to better understand transport qualities, adjust use-by dates as needed and overall optimise processes. Technology has also optimised the labelling process as a whole. Food suppliers are typically tasked with placing these labels on products. When leveraging software like ABM's Manufacturers Package, they are put in complete control of labelling functions. Pair this accessible platform with the sensor technology and food suppliers are empowered to make quick changes to labels based on up-to-date information about food quality. Management software make the tracking of large inventory volumes a breeze. Tracking can also play a major role in reducing the waste associated with spoiled food. Advanced software make the tracking of large inventory volumes a breeze. With ABM, food industry professionals can track stocks and their transfers within and between warehouses. Centralising information about inventory can make it easier for leaders to identify products that are nearing expiration and also prevent repeat orders of stock that already exists, preventing waste due to excess. Perhaps the most notable improvement made by technology revolves around internal processes. Software, like ABM, have made historically arduous activities less complicated and more efficient. Management has been centralised, ordering has been streamlined, purchasing has been optimised and accounting has been simplified. Increased profits: Securing the ideal levels of inventory is an admittedly delicate task. However, the impact on revenue can be significant. When businesses overstock without the necessary demand, it results in considerable loss. This is especially true in the food industry, as many products expire and must be discarded completely. On the flip side, when a company perfects inventory levels they have the ability to free up a variety of costs: from handling fees to storage dues to working capital. With ABM, business leaders can get inventory updates in real time, allowing more accurate purchasing, reducing the risk of excessive stock and ultimately improving cash flow. But the potential for increased profit goes beyond stock efficiency. When business leaders are given a closer look into stock levels they can better identify which products are sitting longer and develop the necessary sales strategies to either improve purchases or adjust order volumes. Advancements in inventory and account management are hugely valuable. Faster processing: The level and immediacy with which ABM software can provide you with stock information allows for an optimised order fulfilment process. When you possess a deeper understanding of your inventory performance, you can reduce the times it takes to fulfil orders and make better-informed decisions about purchasing. By speeding up processing, leaders can potentially minimise warehouse storage time and space. This can free up capital and help move the business in a more efficient direction. Technology has made it possible for food industry professionals to not only obtain this information but to act on it quickly. Food industry businesses have the potential to make some monumental strides when they leverage the relevant technologies. Advanced Business Manager is a solution that can help your team make some of these critical transitions on a simplified platform. To learn more about all the ways our products can help you, check out our infographic.